In 1967, people from across the denomination met in Lancaster, Pa., to celebrate the 200th anniversary of the United Brethren church. A gathering was held in Long’s Barn, where it all began with an embrace between William Otterbein and Martin Boehm. Those men, our founding fathers, hadn’t met until that day in 1767. The anniversary 200 years later included a re-enactment of that embrace. 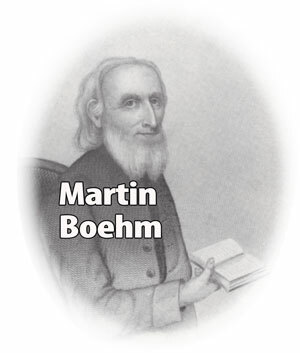 A young UB pastor in Pennsylvania named Ray A. Seilhamer, who went on to serve as bishop 1993-2001, played the part of Martin Boehm. Raymond Waldfogel, an Ohio pastor who would serve as a bishop 1969-1981, took the part of William Otterbein. It was good casting. On September 25, 2000, we celebrated another 200th anniversary. 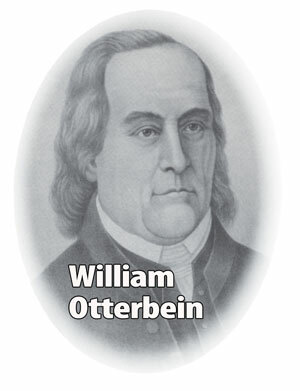 On that date in 1800, a group of ministers met in Frederick, Maryland, and took two significant actions: they elected the first bishops (Otterbein and Boehm), and they chose a name for the movement which had spread through Pennsylvania, Maryland, and Virginia for 33 years. They called it the Church of the United Brethren in Christ. And from that day, preaching became a joy—a passion—and he zealously spread the message of salvation to which he had been oblivious for so long. He wrote, “This caused considerable commotion in our church, as well as among the people generally. It was all new.” Lives were transformed. The Great Awakening had come to the Mennonites. 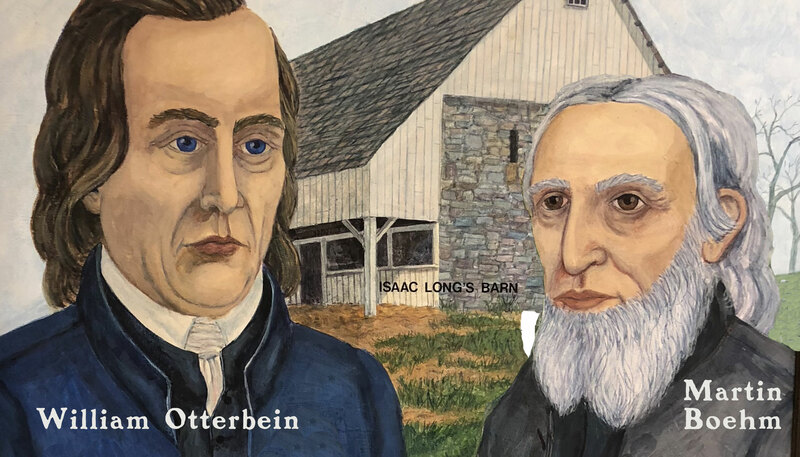 Otterbein accepted a church in Lancaster, Pa., the most important settlement in Pennsylvania next to Philadelphia. The town had 500 homes and 2000 people. He healed the divisions caused by previous pastors and developed a strong congregation. From 1758-1760, Otterbein pastored a church in Tulpehocken, near present-day Myerstown. There, he focused heavily on evangelism and the need for an intimate walk with God. He found opportunities to preach during the week and helped guide people to a deeper level of spirituality. It was the beginning of a lifelong friendship, and of a movement within the larger Great Awakening movement. The movement spread rapidly among German-speaking people in Pennsylvania, Maryland, and Virginia. And it eventually reached the point where greater organization was required. That need was addressed in September of 1800, when 13 ministers gathered at the home of Peter Kemp in Frederick, Md. At that simple meeting, the ministers decided to elect bishops to officially lead the movement, and they chose a name: the Church of the United Brethren in Christ.